Clump #81: Order window shades. Okay, so once again, I have no shame. I can’t believe I’m posting this photo of the window in our kids’ bathroom for the world to see. I guess three kids taking showers next to it for so many years finally did in the shade’s glue. 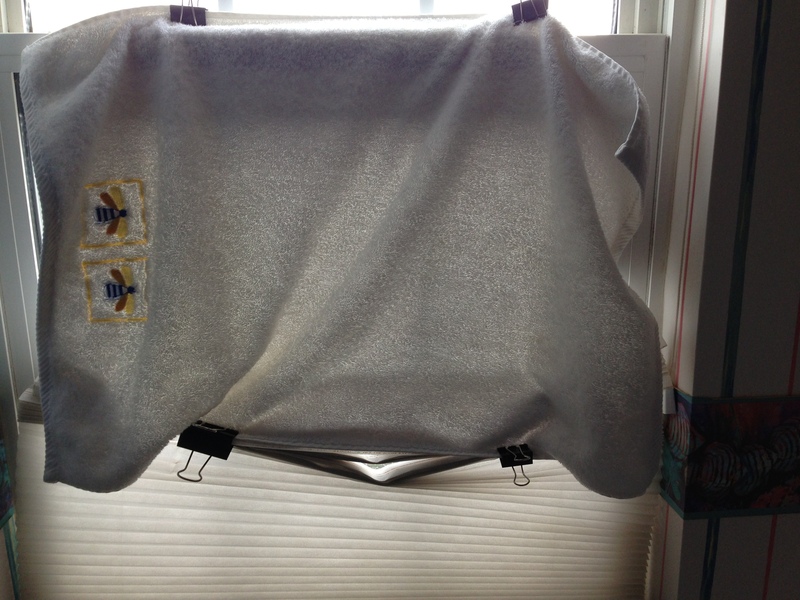 I didn’t have time to order a new blind this summer while preparing for a visit from our older daughter and a friend. Thus, my short-term solution. Today I used a groupon to order new blinds, for this room and two others. Soon not one more guest will have to suffer from (more likely laugh at) the sight of my contraption. Outside the window yesterday it was raining as I took the photo, below. 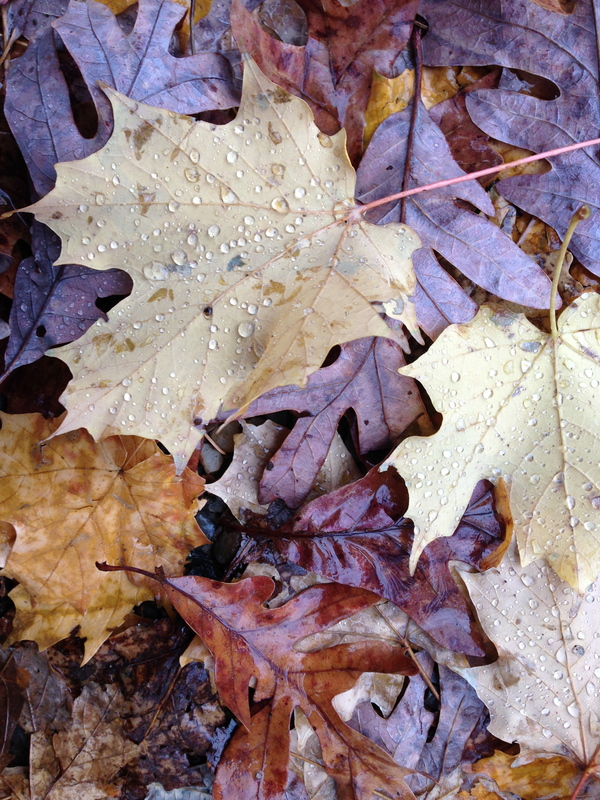 I hopped into our car and heard the Mamas & the Papas on the radio singing “All the leaves are brown, and the sky is grey …” from the song California Dreaming. Perfect timing. And this morning the sun came out. 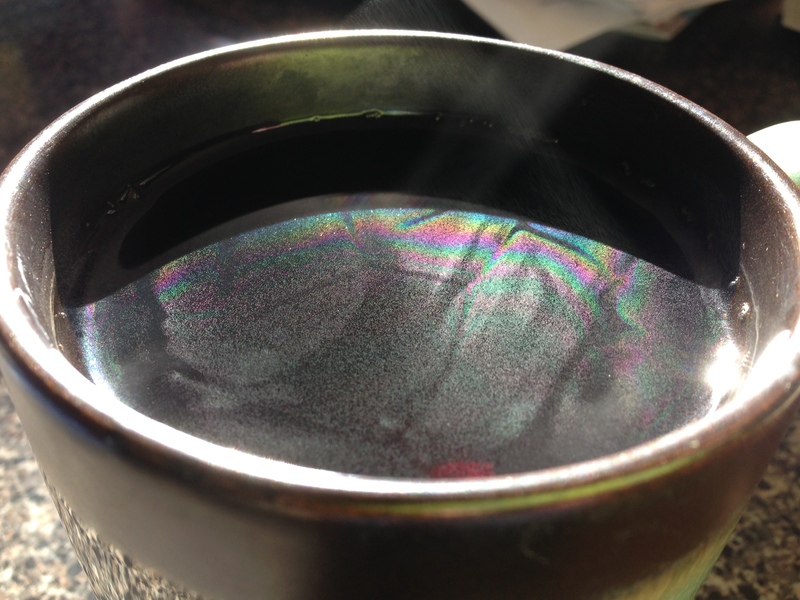 I noticed the sun and the steam from my tea were making rainbows. Now I can’t get the Carly Simon song You’re So Vain out of my head (channeling oldies), with the line, “I had some dreams, they were clouds in my coffee …” I’ll take rainbows in my tea any day.